Hello! 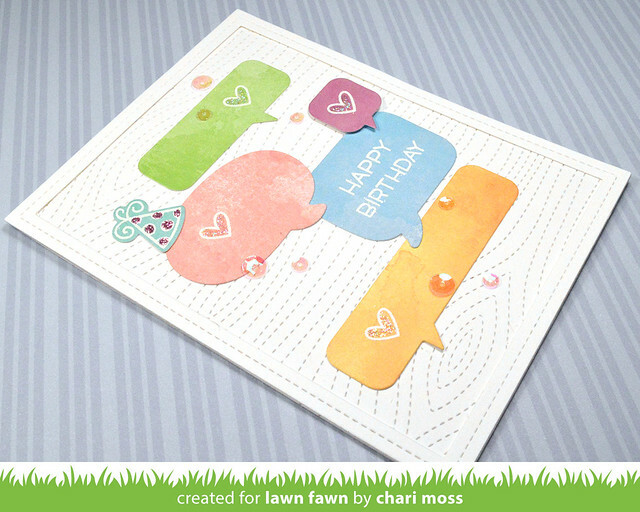 This week the Lawn Fawn Design Team is collaborating with Glue Dots to create some fun projects. Today I have a project and a video tutorial with lots of die cutting and a little heat embossing. I used all the colors of the Watercolor Wishes collection along with dies from A Birdie Told me and the new Speech Bubbles dies, which will be available February 22. 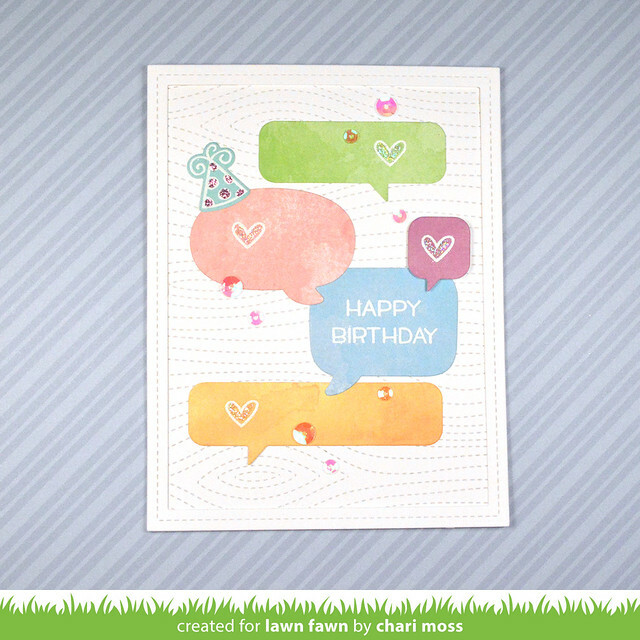 I used the stitched woodgrain background and stitched frame for my card base but kept it white so the colorful speech bubbles would pop on the bright white background. I white embossed the hearts, hat, and sentiments and just added a few iridescent sequins and stickles for some shine. Check out the video to see just how I used Glue Dots products in this project. Be sure to check out the Lawn Fawn blog all week for projects using Glue Dots products. Thanks for stopping by today!